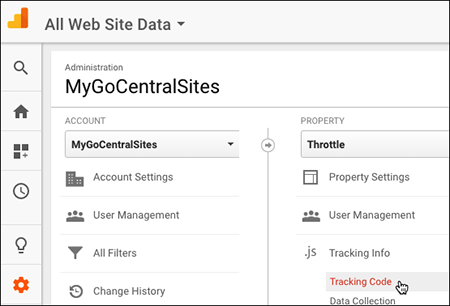 By adding the Google Analytics tracking service to your website, you can get a precise data picture about who visits your site, where they were before coming to your site, and how they navigate around the site. Note: You must set up a Google Analytics account before starting the steps below. 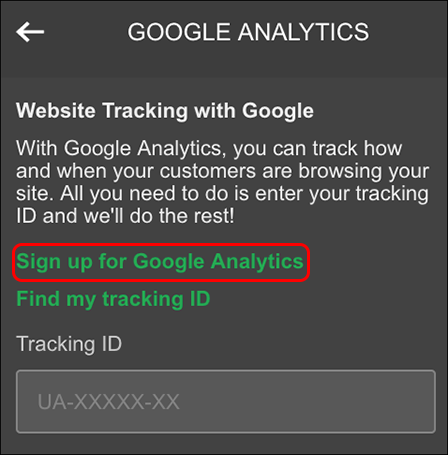 Click Google Analytics > Sign up for Google Analytics. On the Google web page that opens, click Sign In > Analytics, and enter your password. 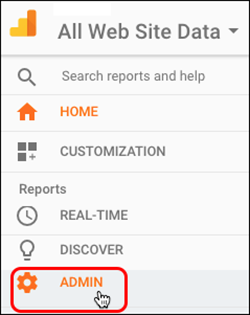 On Google's Analytics home page, click Admin (the gear icon) at the bottom left. Select your site in the Account and Property columns and click Tracking Code in the Property column. Copy the Tracking ID that appears. 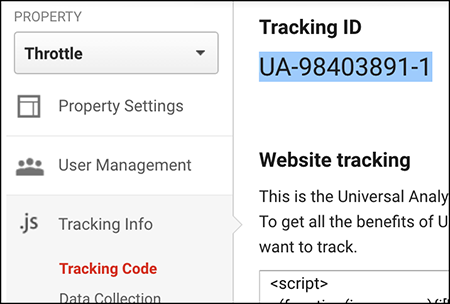 Switch back to your Google Analytics panel, and paste the code into the Tracking ID field. Close the Google Analytics panel by clicking the arrow twice to return to your main window. Your changes are saved automatically so click Publish Site or Publish. 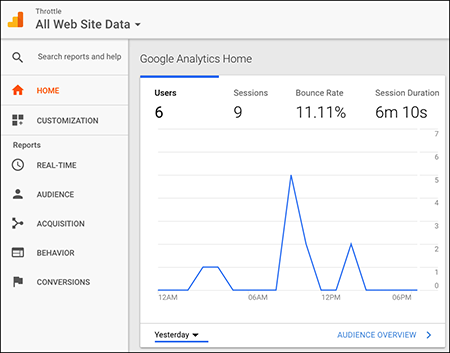 Wait 24 hours, sign in to your Google Analytics account, and dig into the statistics and graphics for your site's Web traffic. Looking for that other Google service? See Add Google Analytics to my site. Google Analytics - Anonymous Masking?